Rugged Wiley X eyeglasses are eyewear with technologically advanced frames. Wiley X eyeglasses eyewear frames are tough enough for every day wear and feature the latest, high tech optical fashion designs. Wiley X is a world leader in the research, development, and marketing of protective eyewear to the military, civilian, and law enforcement markets. After decades of being in business, they have a long history of developing cutting-edge sunglasses that have become standard issue with the FBI, DEA, Army Rangers, Navy SEALs, and other elite Special Forces units around the globe. 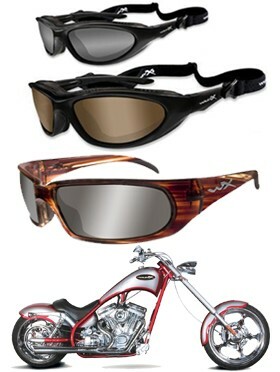 Fending off sun, wind, and debris is the #1 priority of Wiley X lenses. This is accomplished through incredible materials and precision manufacturing when crafting every lens. Wiley X adds the precise amount of dyes needed to eliminate eye fatigue and strain.